While mold, disease and drought all cause problems for live oaks, termites attack the tree in numbers. They eat out hollow places, bore holes and create major damage to the inside of the tree. 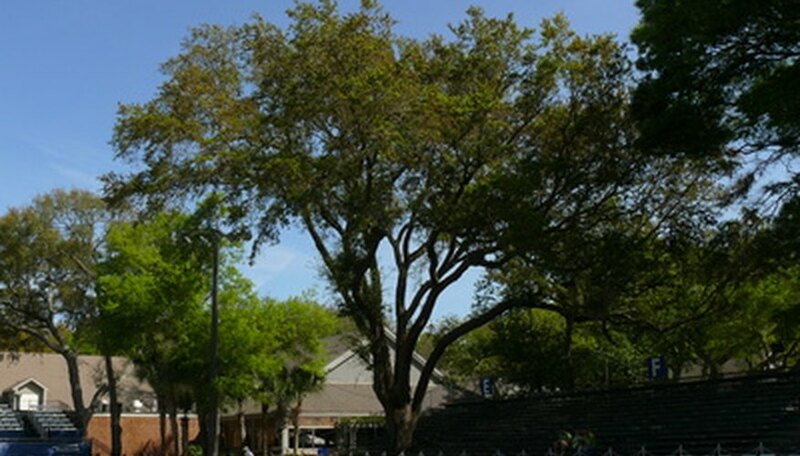 Termite damage to a live oak results in death if you are not diligent in removing them. A few methods exist for killing the insects, but you must treat the oak as soon as possible to keep it alive. Locate holes that the termites use to go in and out of the live oak. Spray an insecticide that kills termites into the holes you find. The active ingredient in various products that kill termites include imidacloprid, fipronil, and permethrin. Look on the label for a product that kills termites and indicates that it is a termiticide. Allow a few days to pass and start watching the holes to see if there is activity. If you see activity, apply the insecticide again. Set out termite bait traps near the tree. This can be done in conjunction with the spray. The termites take the bait to the colony and share the poison with others. Set up a termite detection stake system once you are sure the termites are gone. The stake system is used to detect termites in the area. The detection stakes are pushed into the ground and have bait inside. If termites enter the stake to take the bait, a portion of the detection stake pops up to let you know that termites are in the area. Keep one or two bait traps near the tree to prevent further infestation. Hire a termite professional to inspect your home if the live oak is near your home. Have him apply a termiticide around the house and tree. The termiticide should last about five years and deter termites from entering the area. USDA: The Formosan Termite A Formidable Foe!